BikeSkirt » Blog Archive » Geaux Nola! I am proud to say that New Orleans is now recognized as a Bronze level Bicycle Friendly City by the League of American Bicyclists. It was one of 14 cities recognized for the first time. Thanks for your hard work, Jamie, and everyone else who worked so hard to make this happen! In addition, today was the start of the new pedi-cab era. The Mayor and cycling advocate Councilwoman Kristen Palmer were there to kick off the new addition to the horse-carriages and taxis that ferry tourists and residents around this great city. 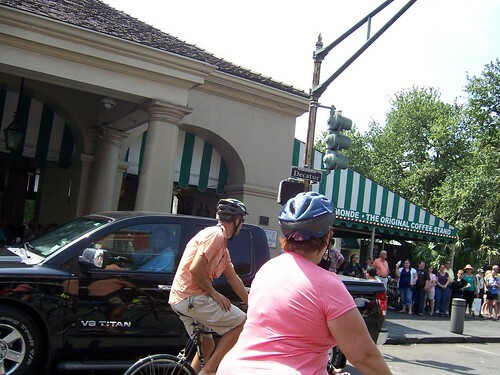 A great day week for New Orleans and the many current and future cyclists out there!